The Philippines achieved its first gold medal in the 28th Southeast Asian Games as Ma. Claire Adorna crossed the finished line as champion in the women’s triathlon event on Saturday, June 6, 2015. Adorna finished the race in two hours, 13 minutes and eight seconds (2:13:08). 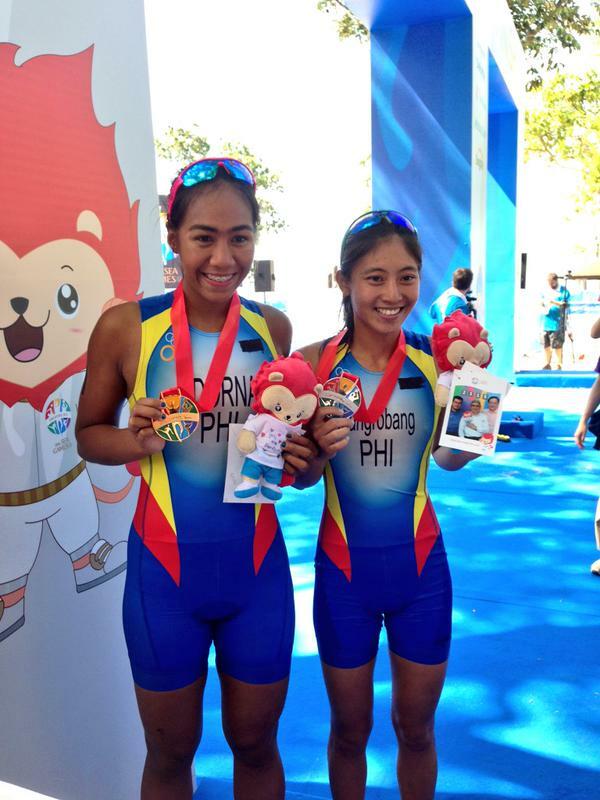 Another Filipina Kim Mangrobang gave pride for finishing second with a time of two hours, 14 minutes and 26 seconds, copping the silver medal. The race which was held in Singapore’s East Coast Parkway includes of 1.5-kilometer swim in open water, a 40-kilometer bike ride and a 10-kilometer run. Thailand's bet got the bronze medal after her time of 2 hours, 22 minutes and 8 seconds in the said competition. As of press time, Philippines already have one gold, four silvers and one bronze. The host country Singapore is still leading in the medal tally with a total of 21 including 10 golds.